They fired up the pitch in Bangkok! 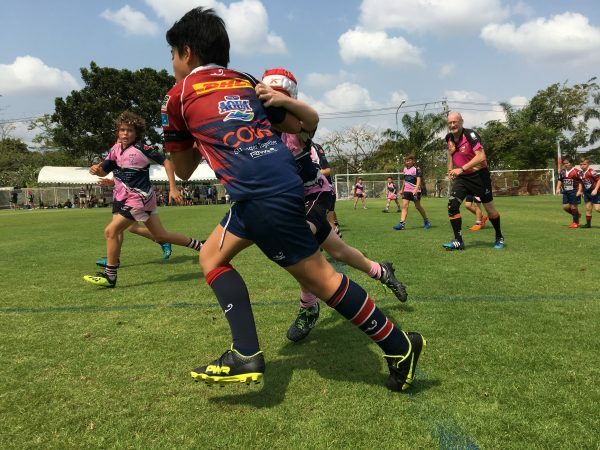 It was the much anticipated Bangkok International Rugby 10s tournament at the British Patana School, and all of us were very excited to be there. 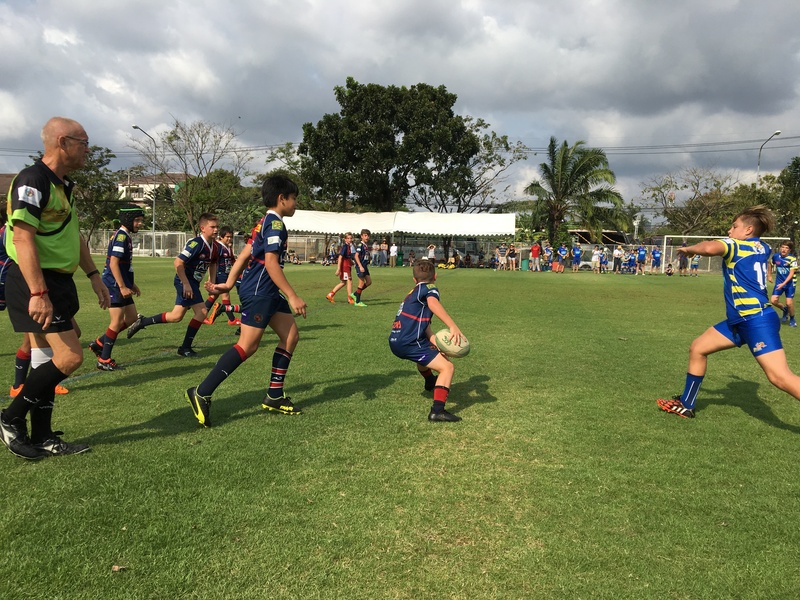 The Jakarta Komodos Jr. Rugby U12s showed great commitment at the pitch for every single game they played. On Saturday, they had a rough start. All three games were close calls, but to no avail. Sunday came around, and I don’t know what happened. Was it their coach’s speech, the captain’s speech or just crazy mad for coming so close at winning their games on Saturday? 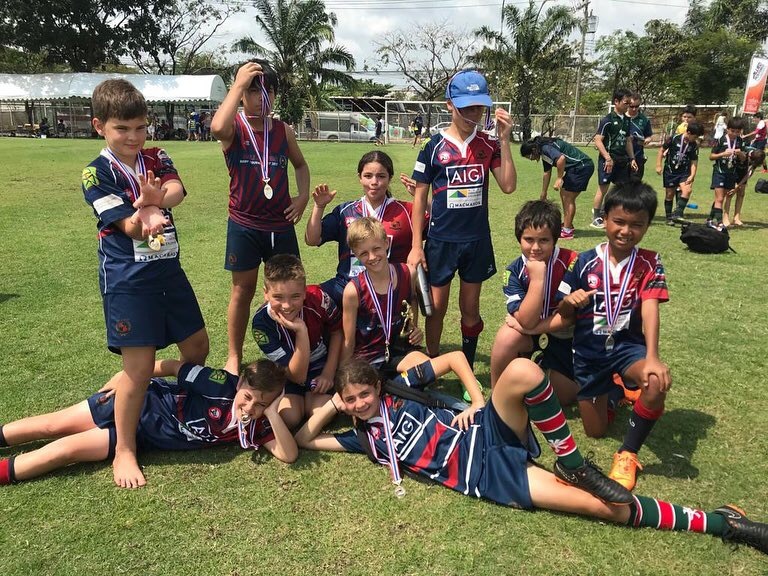 Whatever happened, they got so fired up on Sunday morning that they were unstoppable; they won all their matches without allowing the other teams to score a try! Here is one of the highlights of them playing during one of Saturday matches. 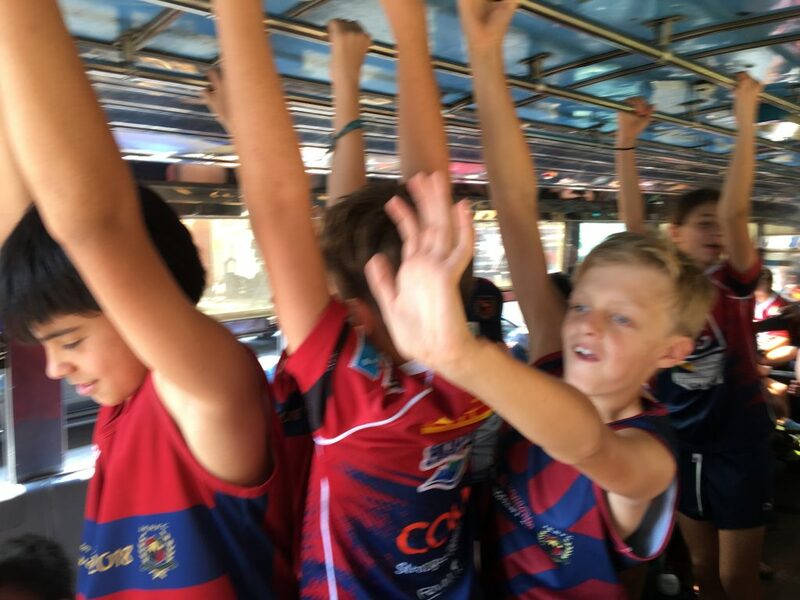 The Stingrays from Hong Kong were a very competitive team! 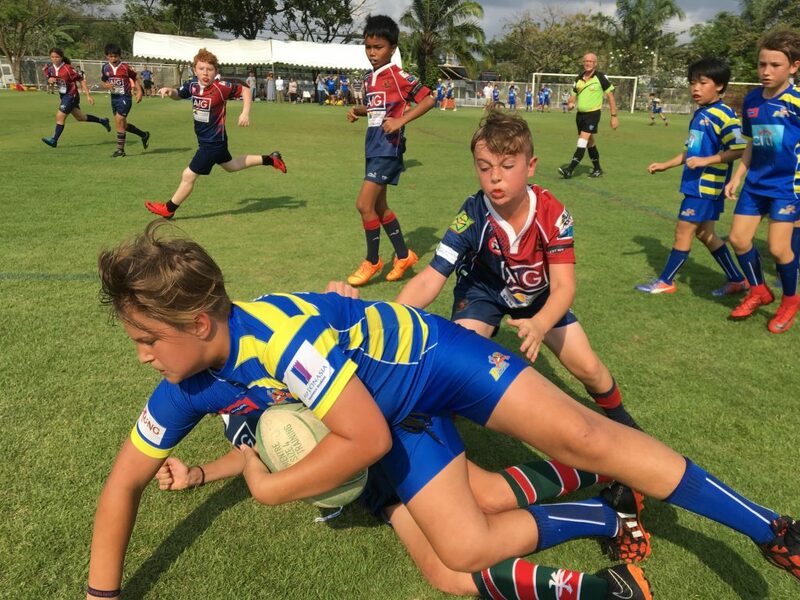 Here’s Nate Hepi trying to score a try for the Jakarta Komodos U12s. Go Komodos! They delivered only wins on Sunday! What an amazing tackle by Sofia Castro again the Bangkok Lions Blue. Behind her, Jackson Matula and the rest of the team to support her. They dominated the field without a doubt! What a come back! Did you notice the white team with pink shirts underneath? It was as it they played the Sting Rays again, but for the Japanese team of course. The Komodos didn’t get intimidated at all by this little known fact. THESE ARE CHILDREN. 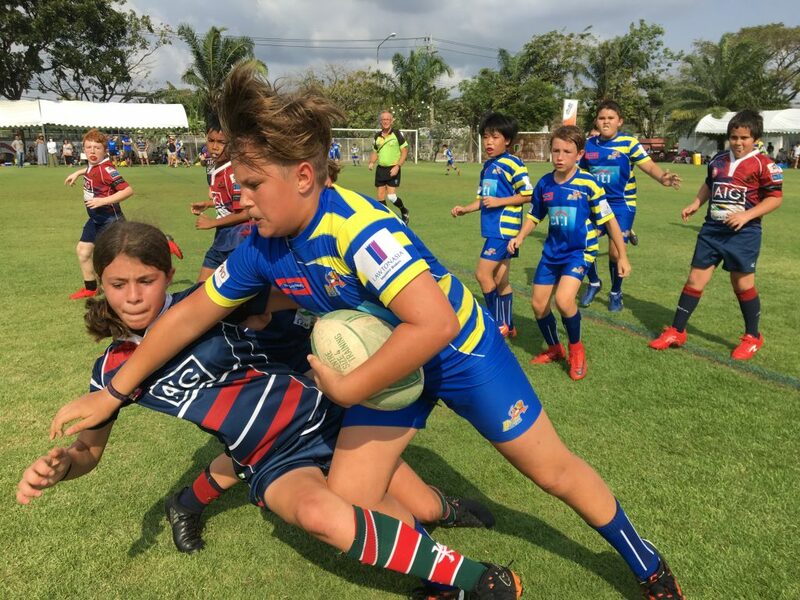 THESE ARE JR RUGBY GAMES. THE COACHES ARE VOLUNTEERS. THE REFEREES ARE HUMANS, JUST LIKE THE REST OF US. AND FOR GOODNESS SAKE…THIS IS NOT THE WORLD CUP! The overall experience is what counts. 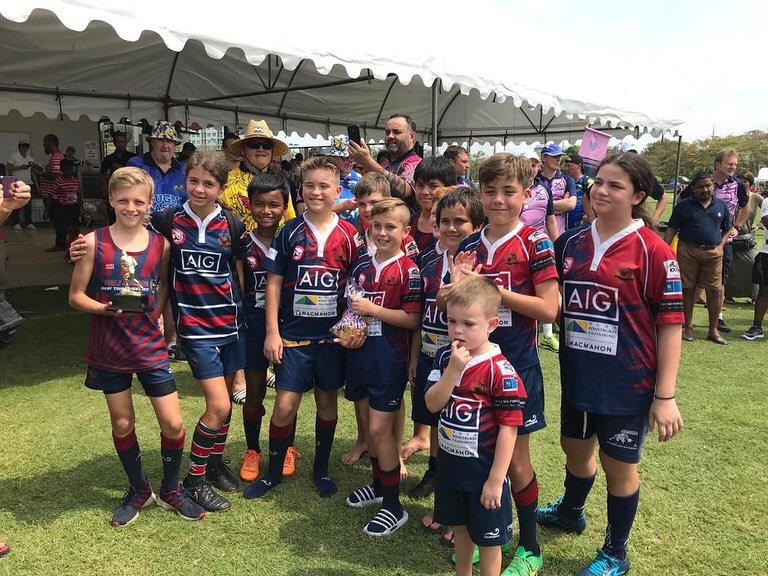 The sportsmanship and enjoyable process of playing rugby are key attributes for these kids to continue playing rugby. Fun. Plain and simple. I do wonder lately; who has the most fun during the tourneys? The kids or the adults? (hands down adults!). To be honest, we ALL do. Couldn’t get better than this! They will always be our winners! They leave behind Bangkok and bring with them to Jakarta all that learning experience. 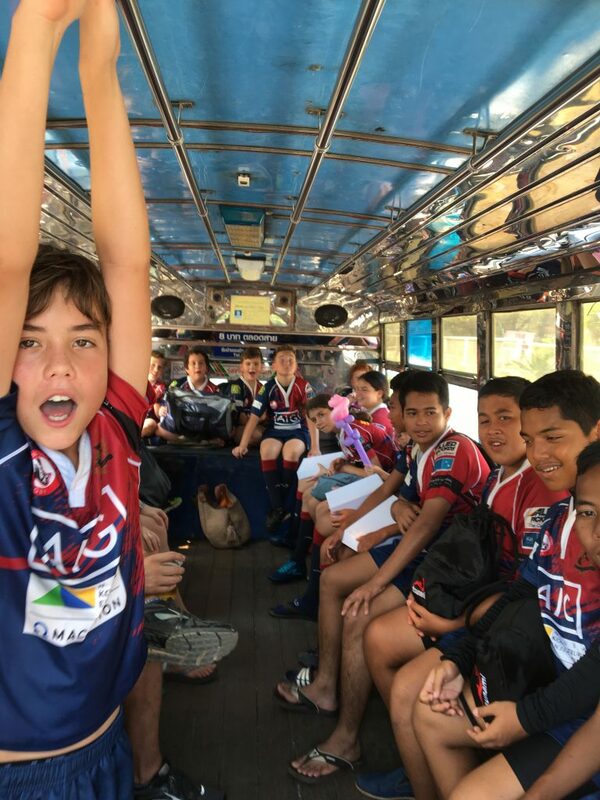 They’ll move on to their next chapter in rugby, and already are doing all they can to come with full force and be unbeatable this time during their last tournament of their season at the Jakarta 10s! 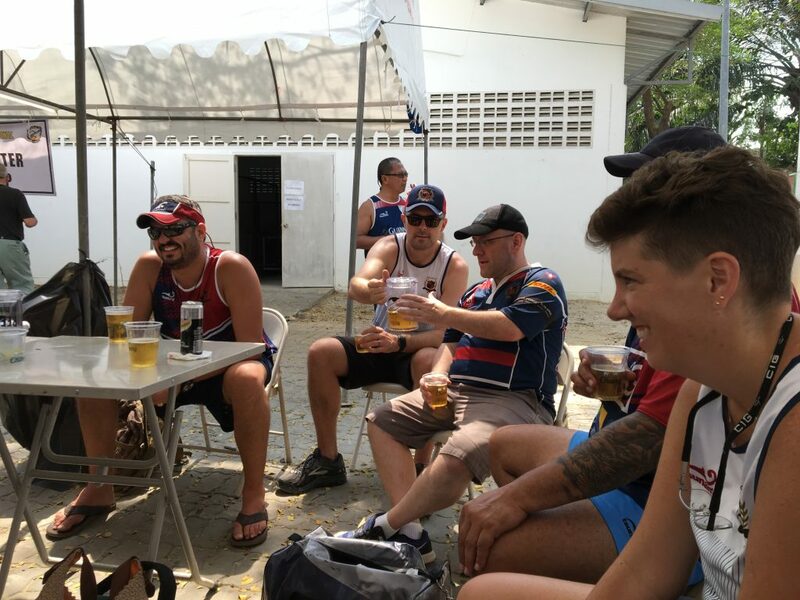 We will be there, cheering them on, getting dirty, loosing our voices and having the time of our lives…because of our kids, our club, our rugby! and little Caleb from Rugby Tots! 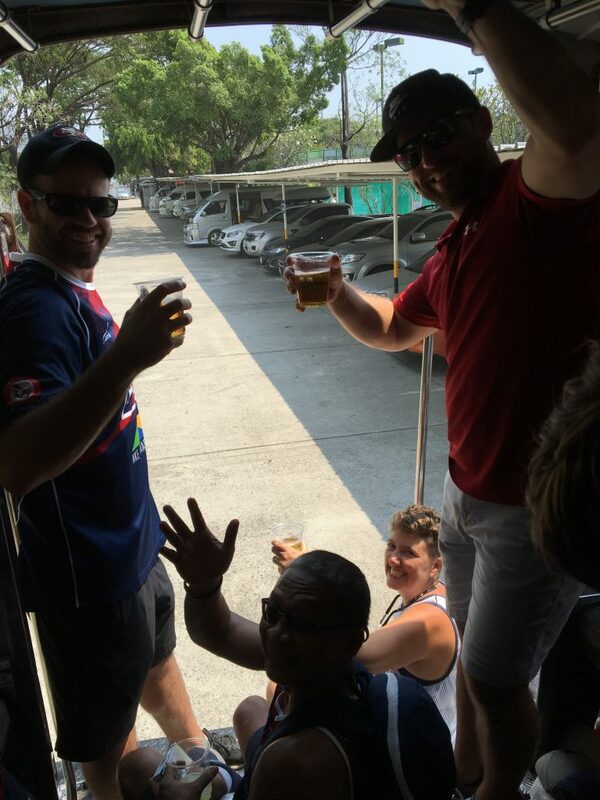 Jakarta 10’s! Here we come! 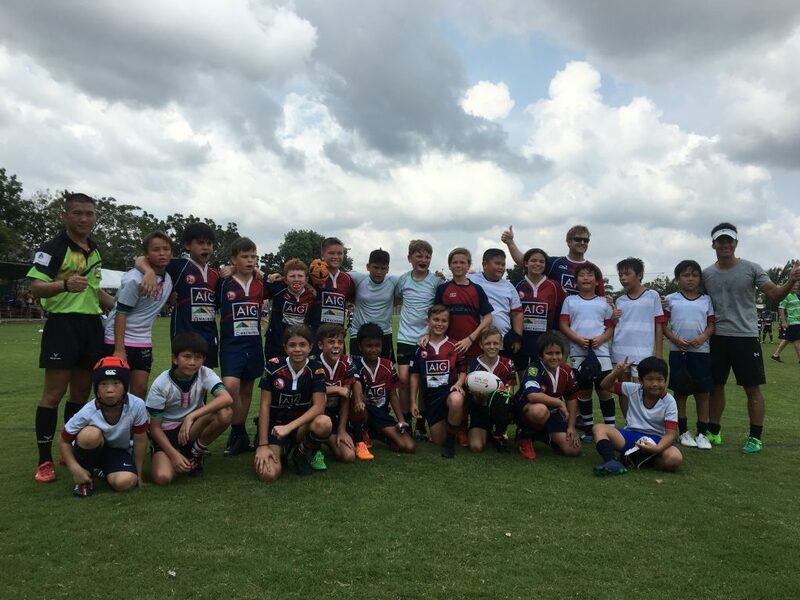 The Komodos U8's, U10's and U12's are putting their skills to the test..